PBS KIDS is celebrating the 100th day of school with the problem-solving, math-loving duo Peg and Cat from the newest PBS KIDS preschool show, PEG + CAT. 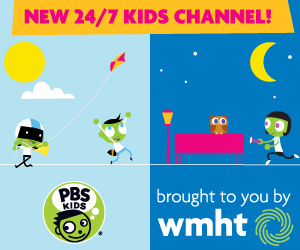 PBS KIDS is providing educators and parents with resources from PEG + CAT to encourage early math learning in the classroom and at home. Free interactive games, streaming video and hands-on activities at pbskids.org/peg will help kids and parents everywhere count down and count up to their 100th day of school. The PEG + CAT Big Gig App for iPad, Kindle Fire and other Android devices also helps kids understand math concepts such as numbers, counting, patterns and more. The 100th day of school is a momentous occasion celebrated by schools across the country. Grounded in a rich math curriculum, PEG + CAT offers a variety of interactive content themed around the number 100 to add to this celebration, including online games and hands-on activities. PBS KIDS is also offering parents and teachers tips for celebrating the 100th day of school with educational activities. Additional games and activities can be found at pbskids.org/peg. Educators can also find classroom activities at pbskids.org/learn. As part of the 100th day of school, local PBS stations in communities across the country are implementing PEG + CAT-themed education and engagement activities for low-income children in partnership with schools, after-school programs, early childhood centers and other local organizations.